Phase 4 of the Sea Experience Diving Schools Career Development Curriculum is DAN Diving Emergency Specialist (includes 5 DAN Instructor and 4 Provider certifications), PADI Master Scuba Diver Trainer Prep (includes 5 PADI Specialty Instructor certifications) and Resort Specialist. 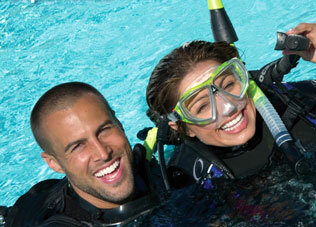 Up to 23 ocean boat dives will be conducted throughout this Phase. At the conclusion, the student will meet the qualifications to apply for the Master Scuba Diver Trainer (MSDT) rating once PADI’s requirements are met. Sea Experience Career Development School’s Phase 4, MSDT/Resort Specialist was developed to take the PADI Instructor and give them an advantage in the diving job market and to help them become successful in their scuba diving career. Since potential employers are looking for the most qualified candidates, this program offers students of Sea Experience Career Development Center one of the most comprehensive continuing education programs in the industry. For more info, please visit page 11 of our course catalog.